Seeing back to school ads and knowing that summer is coming to a close, is a sad time for most kids. Some might say, they are hit with the back to school blues. But, these blues don’t have to be boohoo’s, they can be woohoo’s! 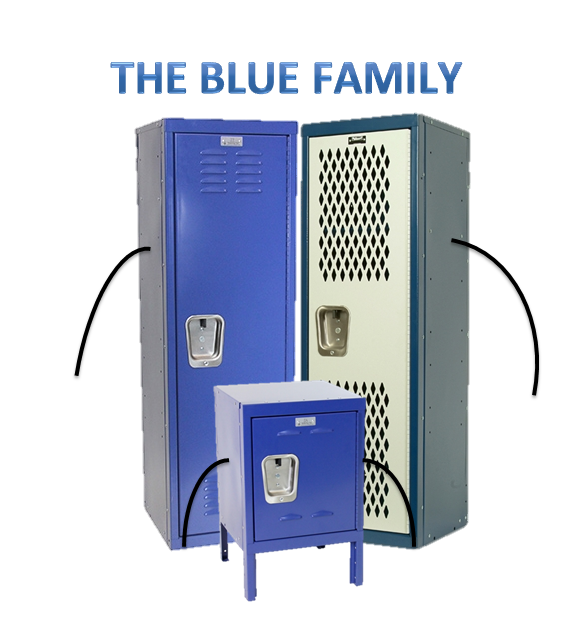 Meet the Blue family. They will help turn your back to school blues into back to school woohoo’s! Mr. Blue likes to stay organized with this fun dry erase board. You can draw what ever you want on it. 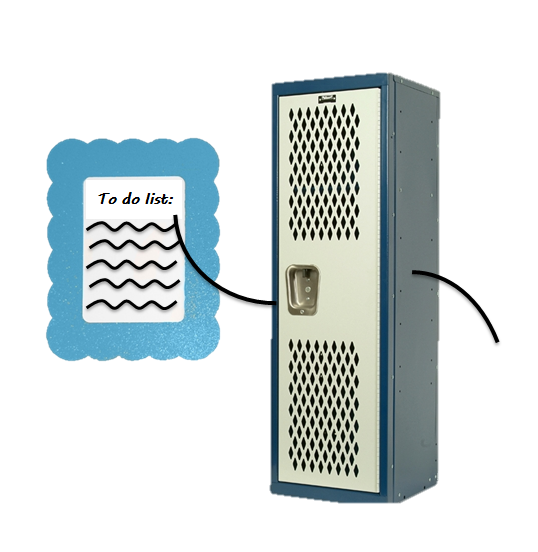 From schedules to pictures to notes, this decorative dry erase board is perfect for any locker. Mrs. Blue is looking for a new wallpaper. 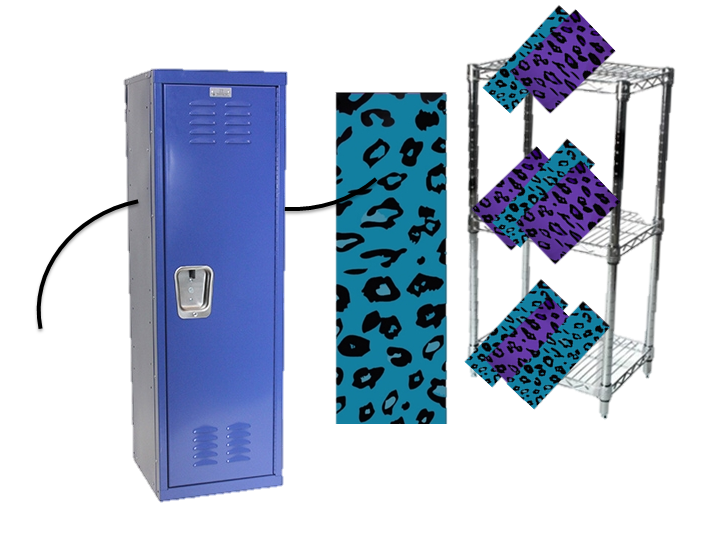 This cheetah print locker wallpaper is just what she is looking for. A perfect, fun way to spruce up the inside of a locker. 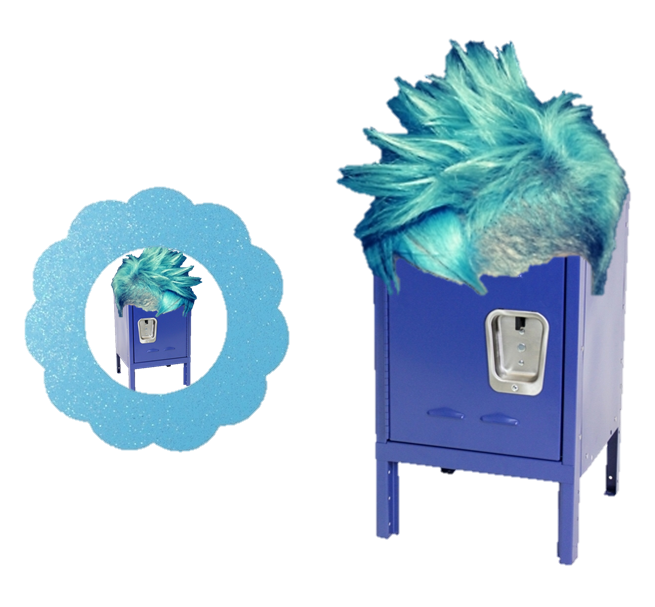 Before the first day of school, Li’l blu is trying out some different hair styles in his magnetic mirror. Perfect for some quick touching up in between classes. The back to school blues don’t have to be a bad thing. Come join us and celebrate your back to school woohoo’s!